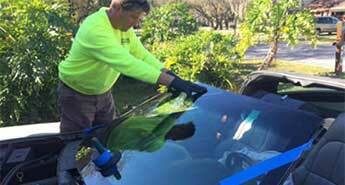 Auto Glass Warehouse chooses to invest in DOW Betaseal Express Advanced Cure Auto Glass Urethane Adhesive for all of our Cape Coral windshield replacements. This urethane is one of the fastest curing adhesives that ensures some of the fastest drive away times. Other companies may use a less expensive adhesive that results in a exponentially slower drying time of up to 24 hours. This is also why other glass shops may request you to not wash your vehicle for a minimum of 24 hours to ensure it has completely cured. In addition to using only the best urethane adhesive on the market, we also use the highest top rated auto glass available. We order auto glass from major manufacturers such as PGW(Pittsburgh Glass Works), Pilkington (formerly Libby Owens Ford) as well as original equipment glass directly from the OEM manufacturers. We use these superior materials for all windshield replacement in Cape Coral and all of our other service areas. We strive to use the best equipment to keep your vehicle safe. 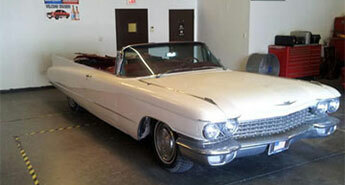 For your Cape Coral windshield replacement needs call 239-768-5054 today!